Dr.Sopons Master Class in Kiev. 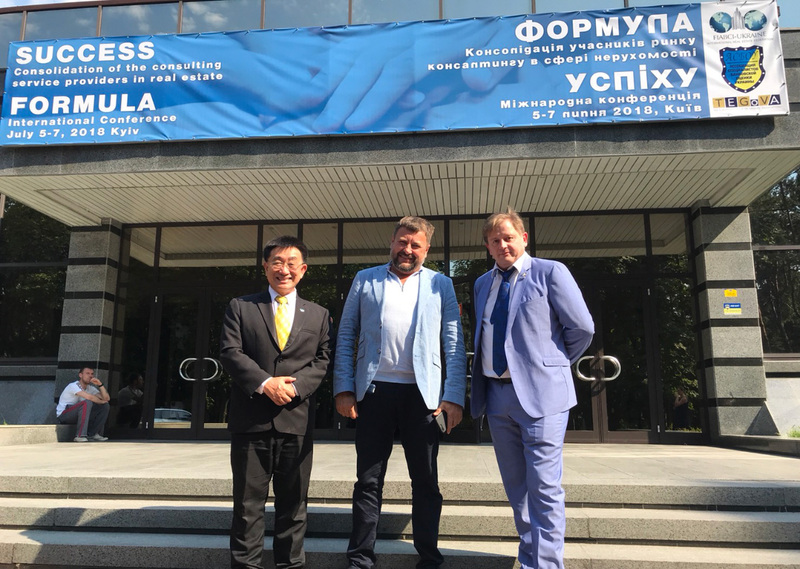 Today, Dr.Sopon Pornchokchai, President, Agency for Real Estate Affairs as the President of FIABCI Thailand went to speak for a master class on valuation of complex properties invited by the Association of Banking Valuation Specialists of Ukraine and FIABCI Ukraine in Kiev. He also participated at a panel discussion on how to standardize valuation practices in Ukraine. Dr. Sopon was invited to be an advisor to the Minister of Finance, Vietnam to set up the roadmap for valuation profession. He helped in consultancy projects to the ministry of Finance in Cambodia and Indonesia too. Early this year, he went to teach mass appraisal in Uganda too. Prior to this mission, he went to present his research on housing markets in Kathmandu last week too.